When it comes to enjoying the delights that are on offer in the town or city in which you live there can be many options to choose from. Whether this is sprawling landscapes or entertainment venues there is always plenty on offer for local residents. Cheltenham is no different. For residents who have used Estate Agents Cheltenham such as http://www.meandyouestateagents.co.uk/ to find their perfect property there is a vast choice of places to visit just a short walk or drive away. One such gem is tucked away just off from the main town area and is known as Sandford Park and Lido. The Lido is reportedly one of the largest outdoor pools in the whole of the UK. It was originally opened back in May 1935 with a grand ceremony taking place on the 25th where open top cars and carried the MAyor and his wife from the towns Municipal Offices to the Lido site. From the start the Lido became a key feature in Cheltenham and an incredibly popular location with people of all ages and both locals and visitors alike. 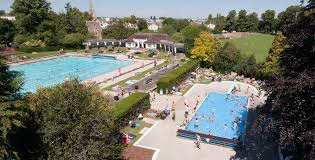 One of the main advantages of this pool is that it is a heated outdoor pool with the temperature reaching 21 degrees, meaning that even during the colder May and September months swimmers can enjoy the delights of the pool and remain warm at the same time. There is a 5 Metre pool, a children’s pool and a paddling pool all on the site. As well as general public swimming, many different events take place each year. 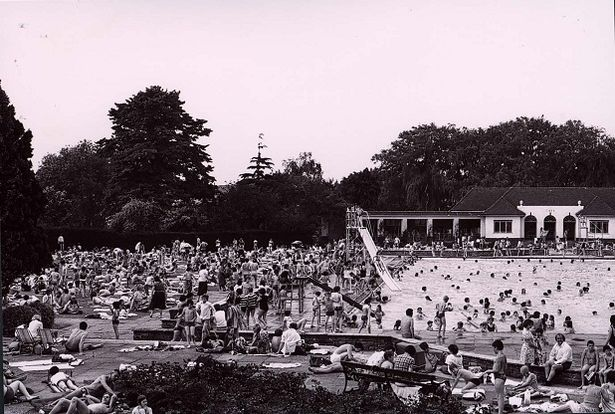 The pool was one of the first outdoor pools to be heated and the water was warmed via a coal fire boiler that was located near to the pool area. Over time the pool found it difficult to make enough money to remain open and in 1982 it was thought that Lido might have to be sold. The pool remained open for a few more years but again faced difficulties in the 1990s. The local Council undertook a structural survey of hte pools and found that the ground on which they were built was unstable and works would need to be done to help this. In 1996 a Charitable Trust was set up a 25 lease was signed giving them control of the Lido. Since then it has been opened to the pubid from May to September each year and its popularity grows year after year. If you live in the local area it is definitely worth the visit. Pack up your swimming kit and some sun cream and head on down to the Lido this Summer.